The victory of the opposition party in Venezuela’s parliamentary elections represents the first national defeat for the ruling Socialist Party in 17 years. Despite the political significance of the result, the short-term impact will be limited, as socialist president Nicola Maduro is only in his second of a six-year presidential term. Venezuela is home to the world’s largest oil reserve, and the country’s political, economic, and business future is intrinsically intertwined with that of oil trading. Past administrations have failed to diversify the economy, increasing oil dependency and corruption in the industry. “Rather than investing oil revenues in the state-owned oil industry’s upstream and downstream capabilities, revenues have been allocated to fund social populist policies and the ruling party’s electoral campaigns,” says Diego Moya-Ocampos, Venezuela’s senior analyst at IHS. Since the oil price began to tumble, so did Venezuela’s fortunes. 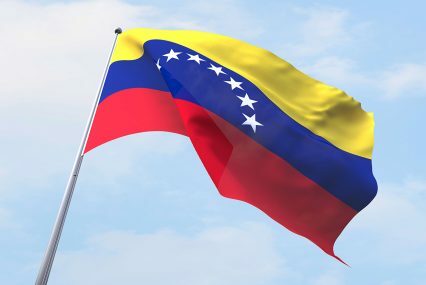 The country is currently facing a severe recession, currency devaluation and mounting inflation, shortage of basic goods from medicines to toilet paper, and a public security crisis that won Venezuela the title of the world’s deadliest country for homicides. Given the dire state of the country, analysts remain cautious in their short-term forecasts, even if the opposition’s control of two thirds of the National Assembly enables it to draft constitutional reforms. “Regardless of the fact that the opposition has secured the majority of seats in parliament, policy paralysis is expected,” Moya-Ocampos tells GTR. On one hand, the opposition is unlikely to pass legislations the government will try to veto, and on the other, the president does not have enough political capital to make unpopular economic decisions, such as eliminating fuel and food subsidies and relaxing foreign exchange and price controls. On the contrary, the government is likely to respond to its increased unpopularity with more government intervention in the economy. “Expropriation and state contract alteration risks are very high in the one-year outlook,” warns Moya-Ocampos, adding that firms in the automotive, food, oil, and retail sectors especially face increased expropriation risks, on top of ongoing shortages of hard currency and productivity problems. The outlook may change in the mid-term. According to Moya-Ocampos, the election result hints that, in a three-year outlook, a pro-business opposition may assume the presidency. “This would create the conditions in the future, once Maduro’s mandate terminates, for increased foreign investment and to restore confidence in the country,” he says. Until then, the current president can only depend on Chinese funding, which comes in exchange of future payment in oil supplies – and this, the opposition claims, could mean mortgaging future revenues to deal with short-term populist priorities. Maduro won 50.1% of the votes in 2013 following late president and party leader Hugo Chavez’s death. This was a disappointing result, compared to the over 60% majority won by Chavez at the peak of his popularity in 2006. Those were the days that oil prices fuelled the country’s economy, social welfare and political power in the region. Representing over 90% of its exports, oil was used to raise the country’s influence in the struggling Caribbean and Latin American economies, often agreeing to exchange oil for goods and services with neighbouring countries like Cuba, Guyana and Jamaica.